Putting Words Together And Making Sentences With Baby Sign Language! 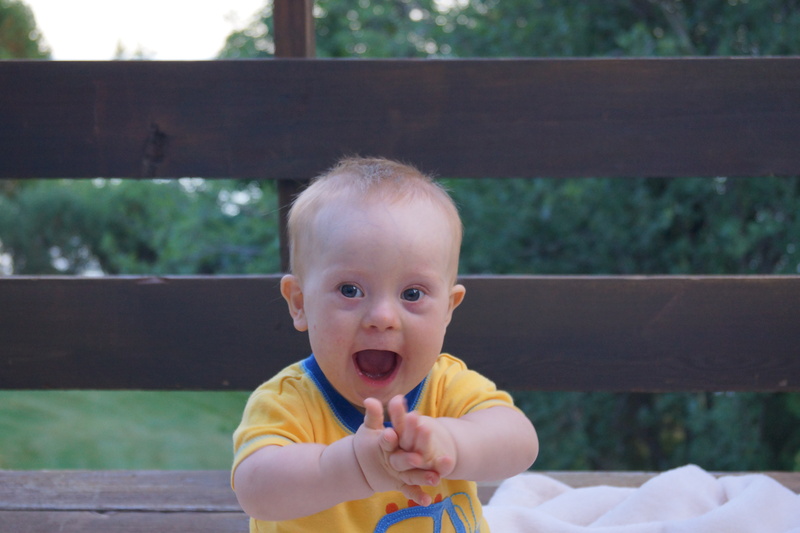 You are here: Home / Therapy / Signing Update: Noah’s First Sign Language Sentence! 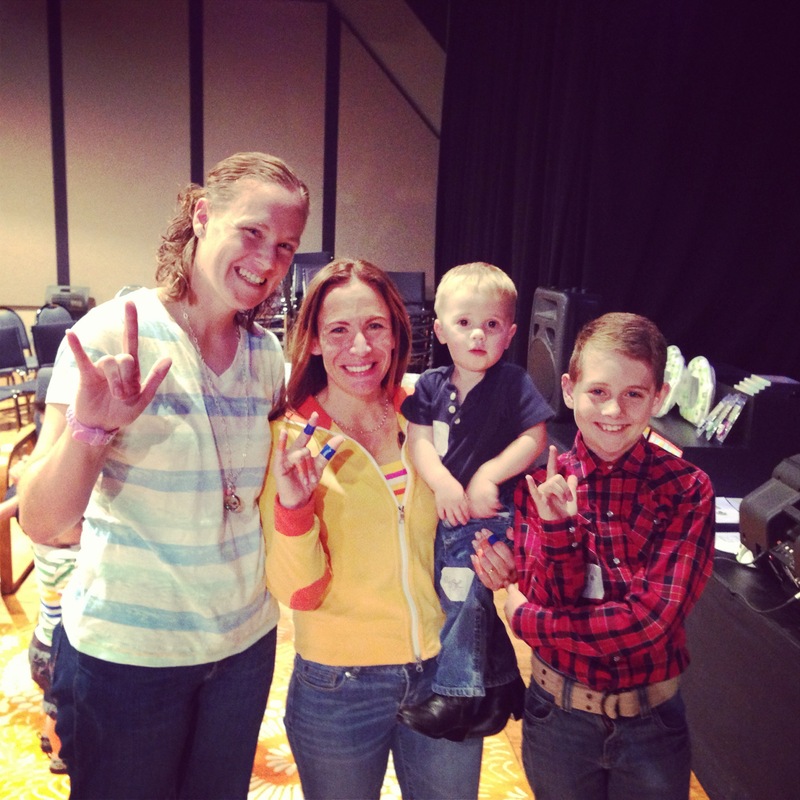 We’re a huge fan of teaching Noah baby sign language to help him communicate with us. We have been watching Baby Signing Time videos since he was about 9 months old. I was a skeptic at first but have continually been impressed by how signing has helped Noah have a voice and understand the things in his environment. In fact, I even wrote a post about how I went from being a skeptical mommy and pediatrician to a baby signing time believer! Only 1 Year Old, And Already Making Sentences Using Sign Language! 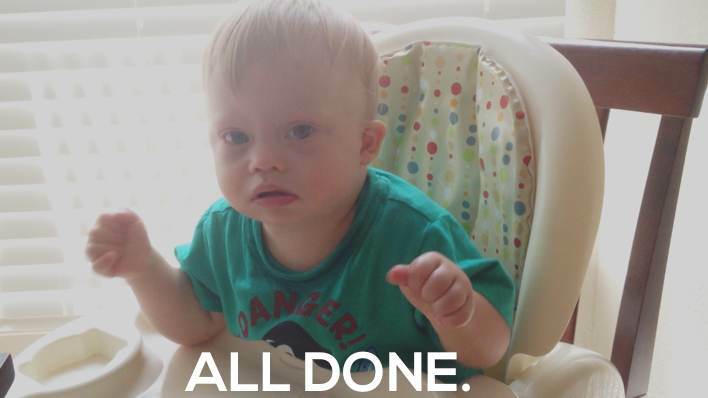 It’s amazing to see our son, who is only 1 year old and born with Down syndrome, not just using sign language, but putting his sign words together to for sentences. Check out the video below to see for yourself! I may have even cried a little when I was able to meet Rachel Coleman because I’m so thankful for what she has done to help our little ones communicate. Baby sign language has been such a gift to us. Today I thought that I would challenge him to put some signs together for the first time. With verbal prompting only Noah is able to say “more food please” followed by a “thank you.” I was so excited, and Noah got to eat more so he was happy too. It was so much fun to see him put all of these words / signs together to form a sentences. As you can see above he actually signed “More food, please. All done. Thank you.” – I love it! We Can’t Stop Talking About Baby Signing Time! I am a big fan of Baby Signing Time Volume 2 as it teaches manners with “please”, “thank you” and “sorry”. Even if Noah can’t speak yet he can still be polite which I love. 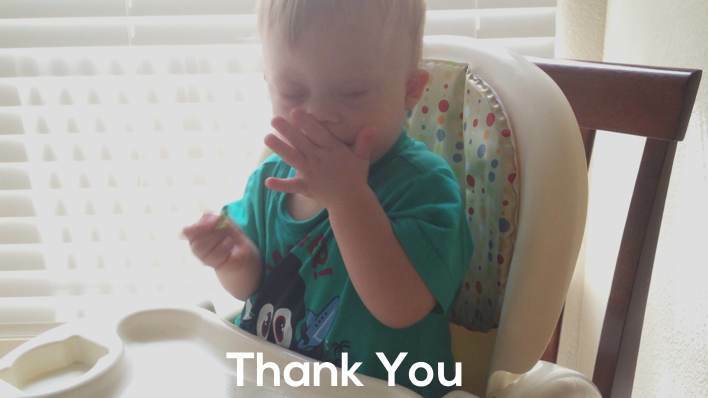 Noah is prompted to sign “thank you” at the end of his therapy sessions or when he gets something. It kind of looks like he is blowing a kiss which is pretty darn cute. Rachel knows just what signs our little ones need to learn at first. Volume 3 for example uses stop and go (among many other signs). I never realized how important stop is. We have been able to get Noah to at least stop and look at us with this word and hopefully it will help me keep him out of danger. Not Just Words, But Understanding…. 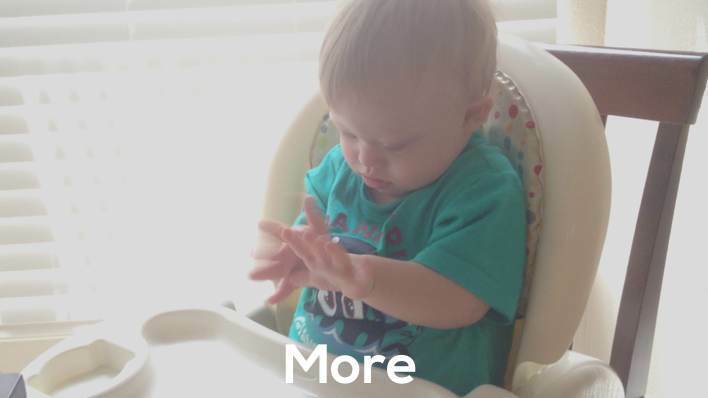 I’m really happy to see all of the progress Noah has made with his baby sign language, and super proud that he is putting his words together to form sentences for the first time. It’s a lot of fun to be able to communicate with our little guy! If you aren’t already using Baby Signing Times I can’t recommend their entire program enough! Check out the links below to order them, and be sure to leave a comment let us know if you have any questions; I’ll be glad to tell you more about our experience! 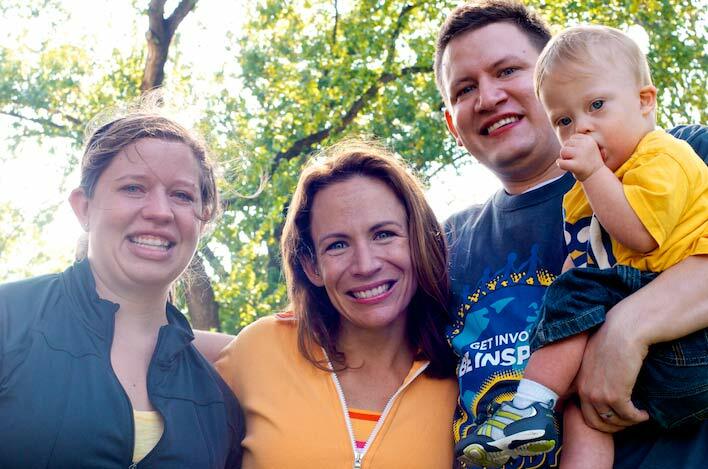 Thanks for helping us communicate with our little boy, Rachel! Is your child using Baby Signing Time? What are their latest signs? Have they been able to put signs together to form sentences? Leave a comment below and let us know! We have been ST fans since they first started making them about 10 years ago! We LOVE ST and LOVE Rachel! I started signing with my son Matthew when he was 6 months old…he is now almost 11 and still uses the signs he knows! We have signed with our son Jackson from birth and he is almost 2! He can sign ALL of the signs from the Baby ST series and most of the signs from the older ST series! It has been a true gift for us from the Coleman family to unlocking the little world our son is in! We love it! We use Signing EVERY day and it has been a huge blessing! We are grateful as well and I cried too the first time we got to meet Rachel! Jackson was fortunate enough to attend a Signing Time Academy taught by Rachel and we loved it! This is awesome! Thanks for sharing! And how cool that you got to go to one of the signing time classes taught by Rachel! It’s also cool how many signs your child can talk. Thanks so much for sharing! You are most welcome! 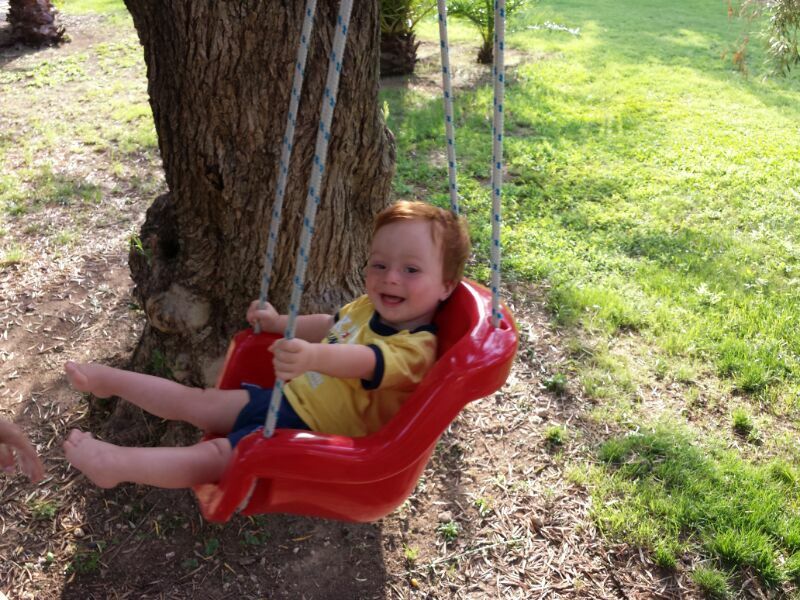 Thank YOU for sharing your sweet boy with us! Make sure you try to have him say the word, so talking isn’t forgotten. Peggy we do. Sign language has been proven to help kids learn to use verbal language faster. 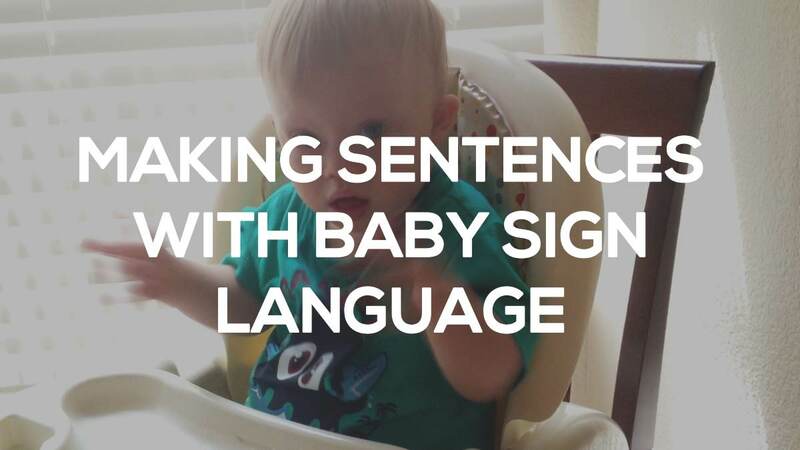 We have noticed that as Noah learns the word he does both the sign and the word and as he becomes more confident he doesn’t use the sign as much. We are thankful he can use the sign when he doesn’t have the words yet which has been such a blessing. I have been working with children most of my adult life and have seen some amazing results using sign language with babies and young children who are non verbal. I don’t have any little ones of my own yet but I want to teach them to sign when they are babies. I love keeping up on what is going on with Noah and watching him sign was awesome. Keep up the good work little guy!! We started using the Baby Signing Time videos with our daughter, who has ds, when she was 6 months old. Before long she was able to sign that she wanted “more” and “eat”. This made a huge impact on decreasing her frustration level. At 2 years old she can now sign over 30 words! She feels more self-sufficient because she can easily communicate her needs. We bought the videos for both sets of her grandparents so they can sign with her too. Her speech is coming along, but the signing has given her the ability to relate to other people now. Last year we sent a thank you letter and some pictures of Edye signing to the videos to Rachel. She sent back a signed picture and a letter of her own. I cried when I read it to Edye and we keep it framed in her room. We consider Rachel a member of Team Edye all the way! I absolutely love Rachel. I am glad to know that I am not the only one who cries because of her impact on their life 🙂 Noah’s grandparents have learned signing as well. It is so great to have others be able to communicate with Noah as well. Even his therapist are in on it. It is great! We started watching the ST videos with James when he was about 6 months. Our whole family fell in love with them and we are so thankful for Rachel for making learning signs fun. James is now 4 and is mostly verbal, but still uses some of his favorite signs, such as more. I agree that she has the teaching thing figured out. Noah loves it. Glad to hear that he is doing so well with his words! We have made a Leah fan-boy out of Ethan too… by three he knew over 100 words. We always verbalize with the signs but he has a mild-moderate hearing loss so it was a delight to HIM and US to avoid so many tantrums which our previous ten had because they did not have a sign to fall back on. Ethan can usually make his needs and wants known politely. We LOVE Signing Time! So glad it worked for him as well! I believe that Noah would be throwing a lot more tantrums if he didn’t have his signs. Thank you for sharing! 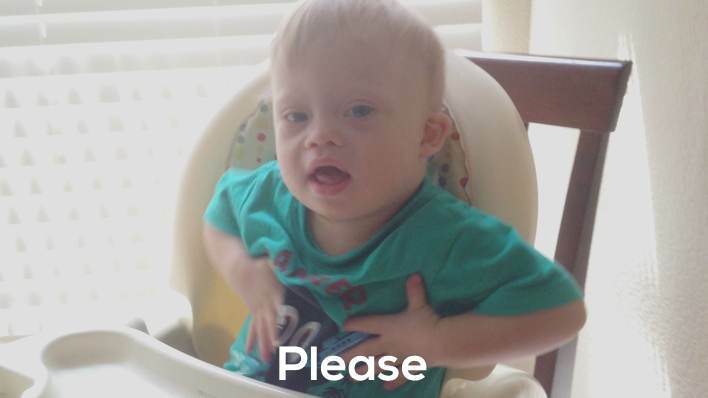 Our little one is almost 16 months, has Down Syndrome, and has almost 15 signs that he uses. As you are, we are also very proud of our little guy. We are so thankful that his speech therapist recommended it before he was even able to sit up. We knew to be watching for sign language classes in our area and asked for the DVDs from the grandparents for Christmas gifts. What a blessing signing and Signing Times is, that we are encouraged each day by our son’s love of the CDs and DVDs and his growth and understanding in communication. We can’t say enough about this! I know there are studies out there, but I need to put my hands on one to give skeptics who think that using signs will cause him to avoid/have a delay in speech. I don’t know if the skeptics will believe this research or not since it is from the signing times web site but it is a summary of what is out there and I actually feel it is very unbiased when I reviewed it. http://www.signingtime.com/resources/sign-language-research/ Hope that helps! Ian has learned the whole silly pizza song in sign and he now even sings along. He still signs such as please, thank you,more,eat,drink, and more. He has his own special vocabulary and ways of saying things..
Hello, I am a sign language interpreter, I have worked as a teacher of the Deaf and have years and years of experience with language development in both hearing and deaf children. I now have two children of my own and never once did I hesitate to teach them sign language before they could speak. Not once did I feel it would delay speech. My oldest (now 4) has a vocabulary you would not believe. He has been using full 9+ word sentences since he was 2!! 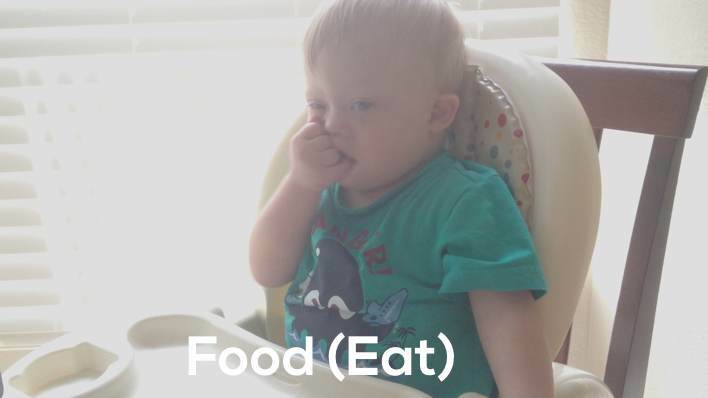 My other son (now 15 months old) can sign 3 word sentences, and is just now starting to make connections between signs and words. I have no doubt that his speech will take off just like his brother’s. I know that children, at an early age, can understand the link between their needs and wants and communication. Teaching them sign language helps them get past their communication frustrations, past the temper tantrums of living in a world they are starting to understand but can’t participate in. It eliminates the long crying sessions, and makes the parents less frustrated. The house is happier! If you are worried about sign language delaying their speech, don’t worry. Not only are they making language connections earlier, sentence connections earlier, but they are HEARING speech all day every day. On the TV, in the car, between members of your family, out at the park, at the store, at tumbling class…..EVERYWHERE! There is so much accidental learning happening all day every day. There will be no delay in speech. If anything, the child will hear words that he/she knows in sign language and be able to tell them to you when they hear it from somewhere else even when you didn’t realize the word was said. We tune out, children do not! Don’t fret about speech, sign language is the way to go, with out a doubt, for children. Words I taught my kids early on: please, thank you, more, eat, cereal, all done, milk, grapes (their favorite), help (that one was huge when tantrum time came calling! ), mama, dada, hot. Then there is invented sign language that was just fun gestures to go with a phrase “where is it?” was a shoulder shrug and hands palm up. The kids loved that one. “no no no, ah ah ah” was a finger wave like no more monkeys jumping on the bed….which both started blending together. The list goes on. But as you can see, it’s fun and the kids smile when they feel like they are being heard. My sons could understand way more in the world then they could spit out. How frustrating!! Teach them what they need to build trust in you and confidence in themselves!!! OK, I think I’m done 🙂 Happy Friday! Great job! Abby (now 10) has been signing since she was a baby and knows more signs than her parents do. We are far from competent with sign language but it has proven to be a great augmentation for Abby and for us. It gives me the ability to discipline her and encourage her from a distance. One of my favorite stories is when I was trying to redirect her from quite a distance and she looked right at me and shut her eyes tightly as if to say, “I can’t hear you!”. As she is learning to read the signs have helped her decode some words more easily. We have also been able to hold simple conversations with folks in the deaf community. They are always so appreciative of our efforts. I would like to recommend Deafmissions.com. They have a DVD series called Dr. Wonder’s Workshop. The actors are deaf and sign the shows with voice overs and closed captions. It really expanded our ability to use and understand sign language and gives Abby the extra visual support she needs to learn the wonderful Biblical lessons they teach. Thanks again for sharing your life with us. What a smart little man is your son that he is able to express himself that well with sign language at such a young age, my compliments to him. Thank you all. Many people told us sign language delays talk, but after reading your post I think I’ll try to watch the videos. We live in Rome, Italy. Gabriele, my son who is now 18 months old, follows the teraphy of Zora Drezancic. We found this very usefull. My son is 15 months old and so thankful I decided to teach him sign language. He only says 3 words verbally. He can sign so much I am so proud. milk, more, eat, chicken and dog are his favorites! I love the videos for myself as well. It was the best way for me to learn signing as well!! We used the Signing Time videos as a way to introduce our older typical kids to another language. When we adopted our youngest son who has DS at nearly 2 yrs old, he had no language, verbal or sign. I started using the signs we had learned with Signing Time and he picked them up Right away. Sign has been so helpful and I am so thankful to Rachel and everyone involved with the videos for making it easy and fun to learn! Inspirational.. really moving blog. Thanks! How do you use the video? Does Noah watch one chapter of the dvd everyday, like a routine? Is he watching by himself and you’re reinforcing later or are you watching with him… We’ve been doing sign for awhile now but without the video. I have some hesitancy with using video/tv but I’m not opposed to it if I can see how to use it fruitfully. Looking for some ideas to use the DVD.